While it likely rare that Matterport Pro1 and Pro2 cameras fail, when a Matterport camera does fail, then what? Whether your Matterport Pro 3D Camera is under the 12-month Matterport warrantee - or out of warrantee - you likely still need to be scanning while Matterport is repairing your Matterport Pro 3D camera. If you don't do the above, you agree that We Get Around will covert the $1,999 deposit to a payment to buy-out our used Matterport Camera. This program is only to help out Matterport Service Providers that need a temporary loaner of a Matterport Camera during a Matterport repair. The We Get Around Network Emergency Camera Loaner is NOT intended for a test drive a Matterport Camera or to have another Matterport camera for a large project. That's why you need to email me a copy of your Matterport camera repair bill - or new Matterport camera purchase receipt - within 30 days of loaning you our Matterport camera. WGAN reserves the right to change the terms of this emergency loaner program or to cancel this program at any time. If your Matterport camera fails and you would like to take advantage of this WGAN Membership benefit for Basic, Standard and Premium Members, please Private Message me. While I wish you never need to take advantage of this WGAN Membership benefit, we would like to help you just in case with the We Get Around Network Emergency Matterport Camera Loaner Program. 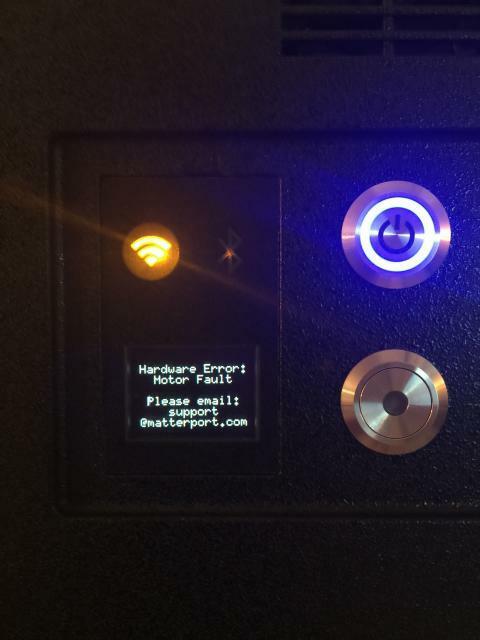 ✓ Broken Matterport, How to Reconnect? ✓ Matterport hardware - damaged mainboard - Can you help? ✓ Matterport Camera Falls->Bad Sound/Now What? This is great extra perk! I have had my camera for less than a year and have done minimal work with it and I got that error on my last job. Frustrating and the reply I got from support was less than I expected. I just notice I am still under the year so I'm going to call so this issue is on record if it dies on me shortly. PS do they have known cause? Thank you. It’s really something Matterport should offer. Immense goodwill to enable scanning while repairing. For WGAN Basic, Standard and Premium Members that do not have a spare Matterport camera, this may be a good backup plan, just in case.